This past weekend, I had the pleasure of attending the Ancestral Health Symposium at Harvard University. I had a blast! It was really fantastic to meet some like-minded dietitians, physicians, and all sorts of other practitioners in this field and put our minds together. 1. I spoke with Dr. Eugene Fine from Albert Einstein College of Medicine about the future of therapeutic low carbohydrate diets. Let me first say that I am a huge proponent of individualized dietary therapy. For some, carbohydrates can be absolutely great and they do just fine with them. However, a lot of people have damaged metabolisms that can benefit from a carbohydrate-restricted approach. 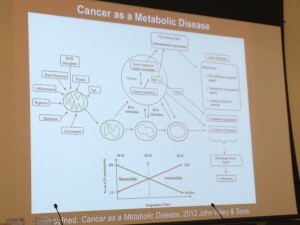 During his panel, Dr. Fine brought up a current issue that many doctors are facing – perhaps they believe a restricted carbohydrate approach could benefit their patient, but they have no dietitian to refer them out to. That’s because at the moment, dietitians do not learn about restricted carbohydrate diets in school, so any expertise is learned outside of the classroom and the hospital. This is a big problem. Dr. Fine and I have been chatting via email and my hope is to perhaps be able to take on some NYC patients who have no dietitian so they can get the support and guidance they need. 2. 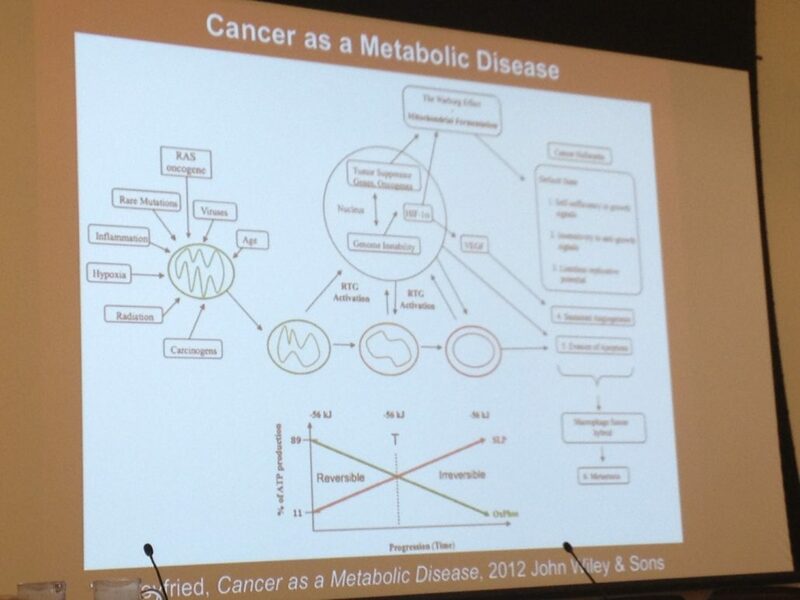 I briefly talked with Dr. Thomas Seyfried, author of Cancer as a Metabolic Disease. I had actually never heard of his book, but after hearing him speak at the conference, it is next on my list to read. Really, really interesting stuff. Cancer has always been something I’ve been fascinated with, and it’s a population that I would love to work with in the future. He pointed me in the direction of a dietitian using restricted ketogenic diets to help patients and told me to get in contact with her, and we’ll hopefully be speaking over the phone in the near future. 3. I met three dietetic students from the University of Connecticut, as well as a few dietitians. It truly amazes me how many like-minded professionals are out there – it’s just a matter of meeting them. It was great to talk to these students/dietitians about what it’s like to use these dietary principles in practice. 4. I met Stephanie Schilling of Living Clean, Cooking Dirty. She’s in the same Masters program as I am, and it was wonderful to meet her in person finally! 5. The food!!! I had some amazing food this weekend in Boston and at the Sustainable Dish dinner at Diana Rodger’s farm in Carlisle, MA. Here’s the Sustainable Dish dinner menu, catered by Chive Events (which, strangely enough, I found out I went to high school with one of the owners!). I also had the amazing pork trio at the Russell House Tavern in Cambridge. 6. Spending some quality time with my mom! I took my mom with me to AHS this year because it was held in Massachusetts, near where I grew up. We had a great time together! All in all, AHS was a wonderful experience and I would highly recommend attending this symposium in the future if you haven’t been to one yet!